Jagged and majestic, the Cascade Mountain Range in Washington is one of the state’s most iconic images. Now imagine you’re breathing in that fresh mountain air while gazing upon an endless horizon of snow-capped mountain peaks, alpine lakes, and flowering meadows. 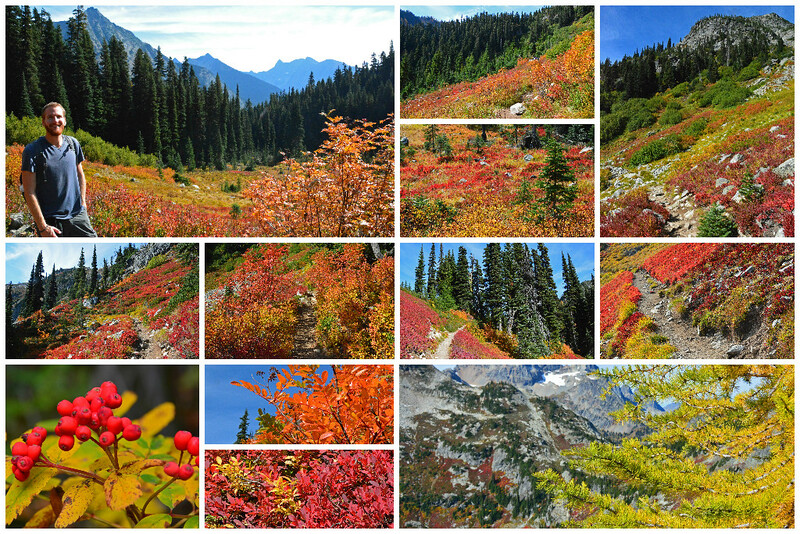 All of this and more can be found on Heather Maple Pass near the North Cascades in Washington. It might take a little bit of effort to get this point, but trust us when we say the hike is worth it! 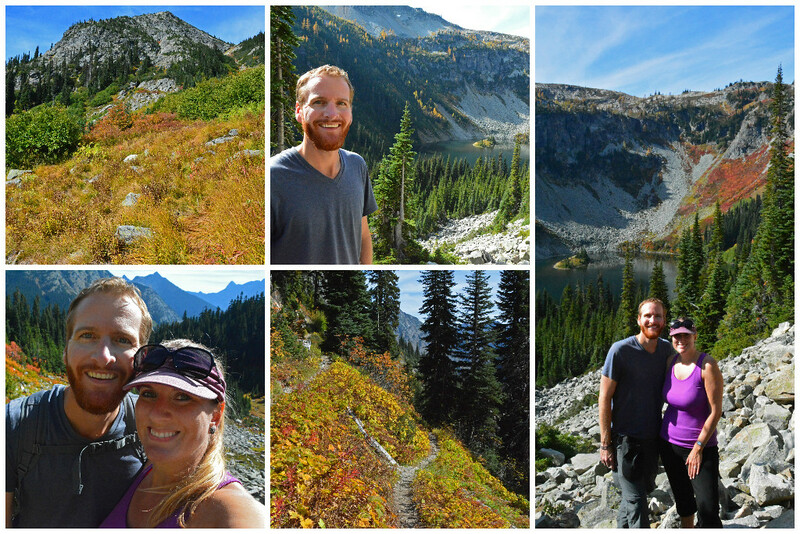 Maple Pass Loop (also known as Heather Maple Pass Loop) is arguably one of the best hiking trails in Washington, and even though it was much longer and more strenuous than our average hikes, we simply had to give it a try ourselves! Not only does the Maple Pass Loop trail provide incredible views, but the drive to the trailhead is pretty spectacular, too! The North Cascades Highway (Highway 20) is known to many as one of America’s greatest drives. 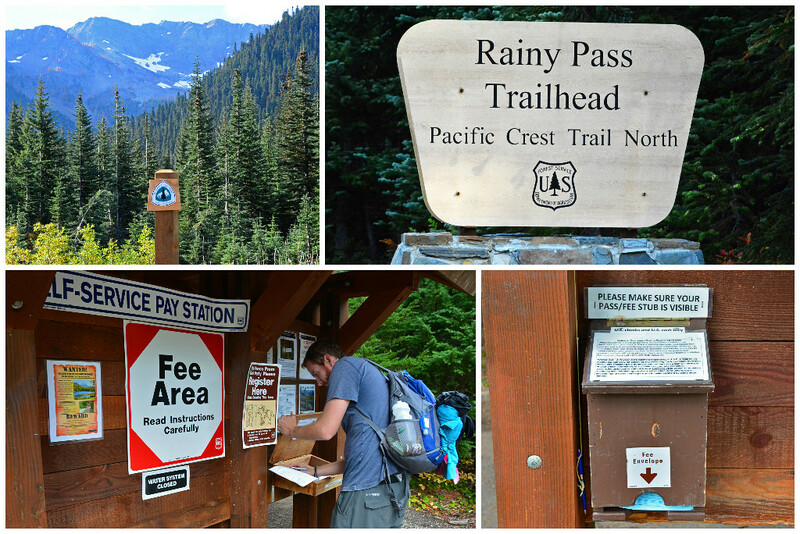 From Seattle, take Highway 20 toward North Cascade National Park and after about 35 miles west of the charming town of Winthrop, you’ll come upon the Rainy Pass trailhead (mile marker 158/left side of the road). During your journey to Rainy Pass, you’ll drive by the towering and awe-inspiring Liberty Bell and Early Winters spires. 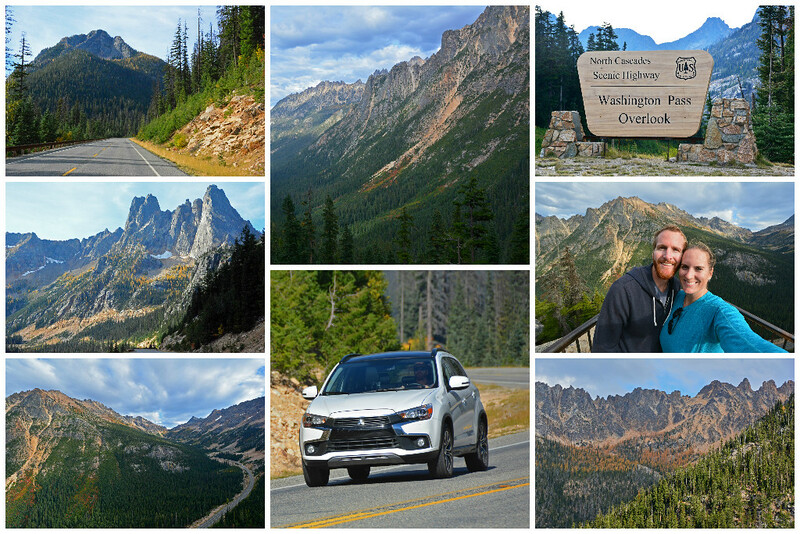 For wildly impressive views of the glorious surroundings, don’t miss a stop off at the Washington Pass overlook! At the Rainy Pass parking lot, there is space for 40 cars. If this lot is full, check across the street where there is another lot providing access to other nearby trails. A recreation pass is required for each vehicle at a cost of $5 for the day. Self-pay stations are provided at the trailhead parking lots for your convenience. You can also purchase a Northwest Forest Pass in advance ($30/annually), which is honored at all Forest Service operated recreation sites in Washington and Oregon where a day use fee is required. Due to the North Cascades weather conditions during winter, the North Cascades Highway closes seasonally starting around mid-late November, and as such, the trail is not accessible during this time. The road typically re-opens in April or May, but due to harsh snowy conditions, the trail remains closed until mid-July. The busiest months on the trail are August & September. July and August bring about colorful wildflowers, while vibrant fall colors come alive in September and October with golden larches and red huckleberry bushes. We hiked the trail at the very end of September. The temperature was ideal, the fall colors were just starting to make an appearance, and we only passed a handful of people throughout the day… it was pretty much perfect! Besides when to visit, the next most commonly asked question about this trail is which direction to head. Since it is a loop, you have two options: clockwise and counterclockwise. 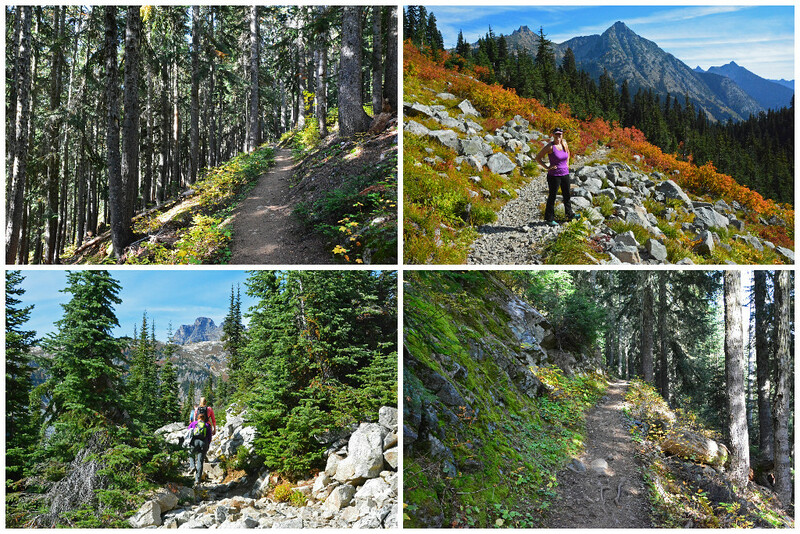 Choosing to go clockwise will allow you to conquer the steepest part of the trail during the first half of the hike. Some would argue that starting out with a more intense climb from the get-go (clockwise) is not ideal, while others point out that going downhill on the steepest portion of the trail (counterclockwise) is really rough on the knees. 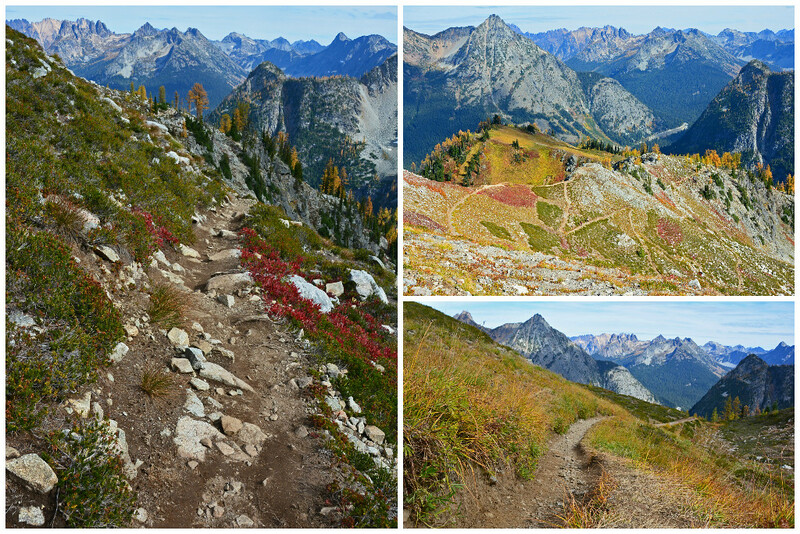 Counterclockwise starts you with a more gradual climb and offers more dramatic views of the North Cascades National Park as you climb the pass. Knowing that this was a more extreme hike than we were used to, we decided to go counterclockwise in order to start out with a more gradual ascent. 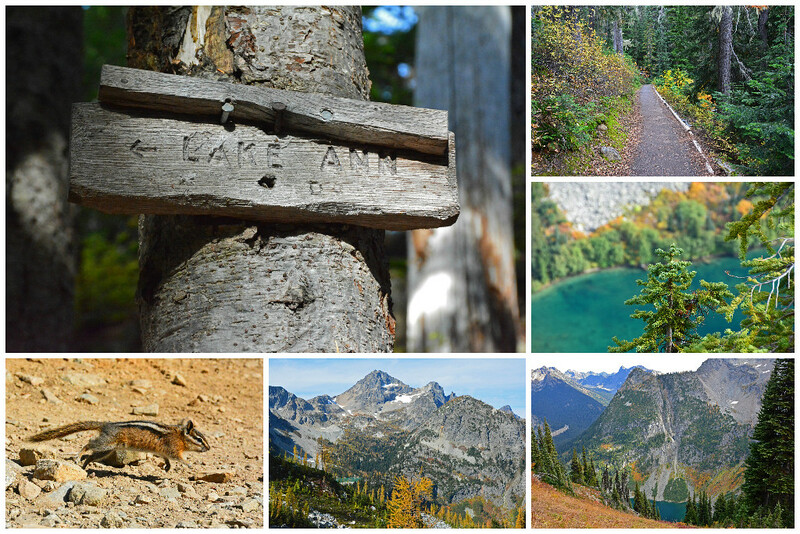 Maple Loop Trail is a 7.2 mile circular hike with a 2,000-foot elevation gain. The highest point on the trail will take you up to an elevation of 6,650-feet. Whether you go clockwise or counterclockwise, you will start out in a heavily forested area. If traveling counterclockwise, like we did, you will pass through a large avalanche meadow before coming to a junction (after about 1.25 miles on the trail) where you can choose to either take the relatively flat .6-mile (round-trip) side trail to the shores of Lake Ann or simply continue on ahead. Continuing straight, you will pass above Lake Ann and catch your first glimpse of the ridge line you will conquer within the next hour or so. Eventually you will reach Heather Pass (hence why the trail is sometimes called Heather Maple Pass Loop), which offers amazing views over Black Peak and Wing Lake and gives you access to boundless miles of scenic trails meandering through meadows to the north. 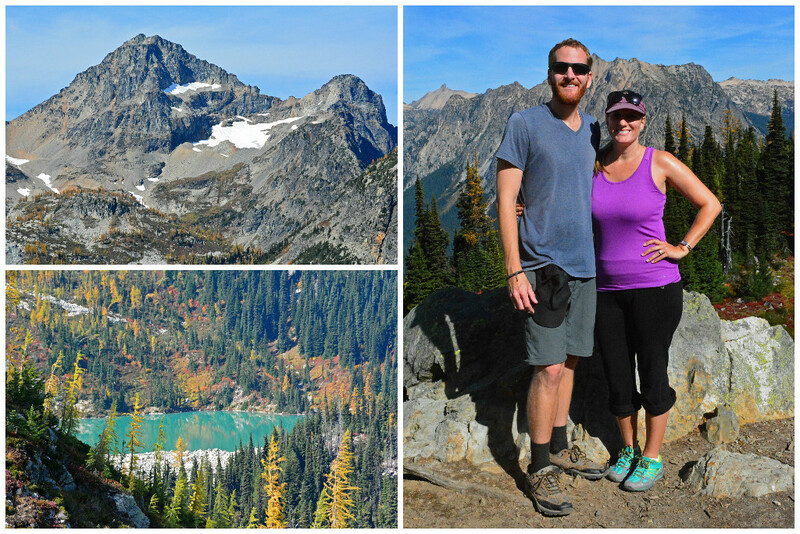 7+ miles was quite enough for us, so we decided to stick to the Maple Pass Loop trail! Conquering the ridge line was the toughest part of the hike, but the views of Lake Ann below and the jagged Cascade peaks off in the distance were enough to keep us going! The descent from the top was fairly intense, but at that point, we were more than ready for some downhill action! The last 2.5 miles of the trail is steep, dropping about 1,700 feet. You’ll pass through a series of rigid switchbacks, walk a thin and semi-treacherous pathway above Rainy Lake, and once again become dwarfed by towering trees as you make your way through a heavily forested area before reaching the parking lot. All said and done, it took us a little over 5 hours to complete the loop. We stopped often, took a ton of pictures, and enjoyed the views immensely along the way. This should be a no-brainer, but for a 7+ mile hike, be sure to pack adequate snacks and water for everyone in your party. You can stop by the Mazama Country Store in Mazama, located less than a half hour’s drive from the trailhead, to stock up for your hike. Make sure to wear a sturdy pair of hiking shoes, as you will experience a lot of uneven ground and rough terrain. A good majority of the trail is exposed to the sun, so don’t forget your hat and sunscreen! Also, in doing our own research on the trail, we had read about some people complaining about mosquitoes on the trail, but we didn’t see any during our late September hike. We speculate they are present more in the summer months, so think about bringing some bug spray, as well. Dress in layers and consider weatherproof clothing, depending on the season. Check the North Cascades weather report before you embark to ensure you are not caught off-guard with weather you weren’t expecting… or prepared for! You don’t really need a trail map, as Maple Loop Trail is a well-marked circular loop with adequate signage along the way. 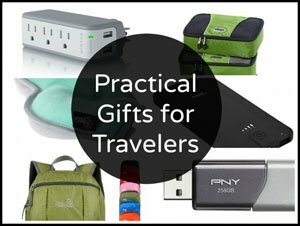 The only other things you should need are a good amount of energy and a sense of adventure! 1) As mentioned, after 1.25 miles (when traveling counterclockwise on the trail), there is an offshoot for the Lake Ann trail. It adds a little over a half mile to the hike, though it is a relatively flat trail, and takes you directly to the shores of Lake Ann. 2) About a quarter-mile from the trailhead (again, if traveling counterclockwise), you’ll come to a fork. If you head right and go another .6 miles, you will reach Rainy Lake; otherwise go left to reach the parking lot. 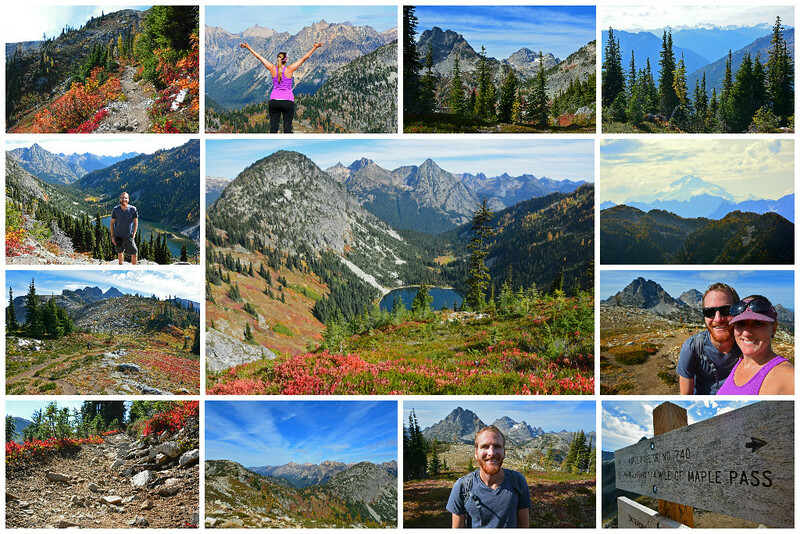 This (2-mile round-trip) hike can be done as a stand alone hike and is a great alternative for those not quite ready to conquer the 7.2-mile Maple Pass Loop. The direct path to Rainy Lake is fully paved and is wheelchair accessible. 3) If you’re a serious hiker and 7.2-miles just isn’t enough, you can continue on from Heather Pass and tackle other challenging trails to Black Peaks, Wing Lake, Lewis Lake, and beyond. 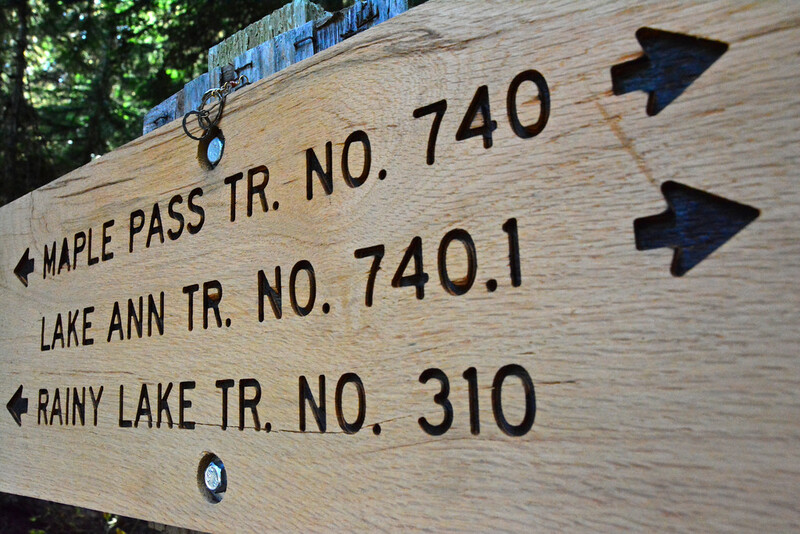 Since we stuck with the 7.2-mile Heather Maple Pass trail with no detours, we can provide no other details, and we encourage you to research these options further, if interested. 4) Oh, and keep your eyes peeled for cute little chipmunks! 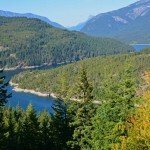 For more information on the Heather Maple Pass Loop and other outstanding Washington State hiking trails, be sure to visit the Washington Trail Association. Located less than 30 minutes from the Heather Maple Pass Loop is Mazama Country Inn. 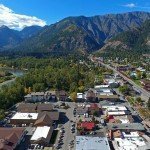 Relax in one of 18 guestrooms at the inn or if you need a larger space for a family, rent out one of their 30 privately owned vacation homes in the Mazama area. In the true spirit of connecting with nature, there are no televisions or phones in their guestrooms. 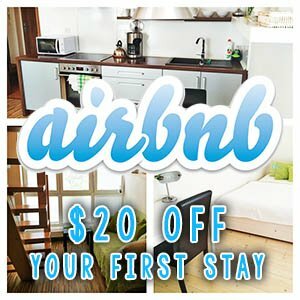 However, wireless internet is available throughout the inn should you need to connect with the outside world beyond the trees at your doorstep. Take a dip in the (seasonal) pool or soak in the hot tub to melt away the aches from your day’s adventure. 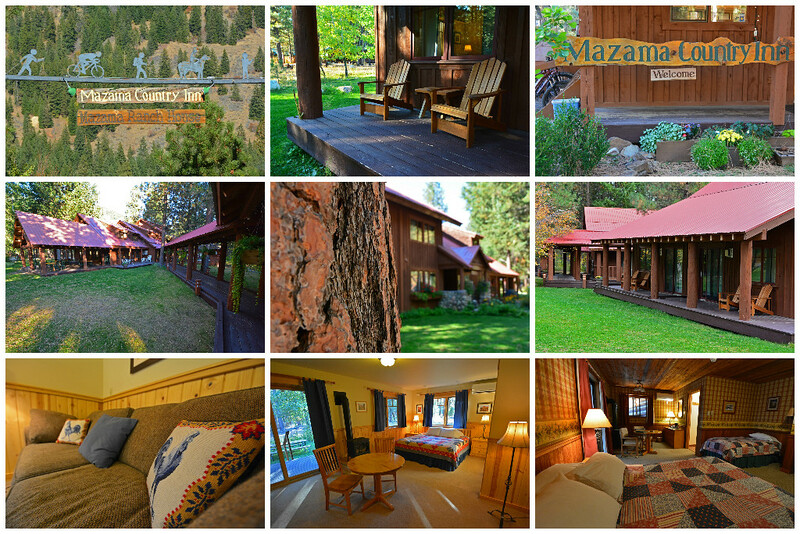 To book a room at the inn or a spacious cabin, visit the Mazama Country Inn’s website. Want to See Even More of Beautiful Washington? 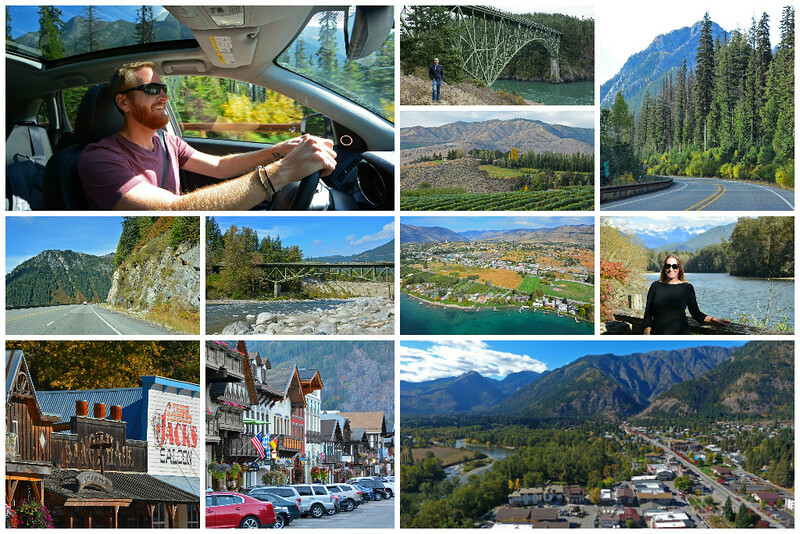 Consider a drive on the scenic 440-mile Cascade Loop! This roadtrip-of-a-lifetime takes you past some of Washington’s most stunning landscapes. Visit Whidbey Island and the North Cascades National Park, along with charming small towns such as Leavenworth, Manson, Twisp, Winthrop, and Mazama. 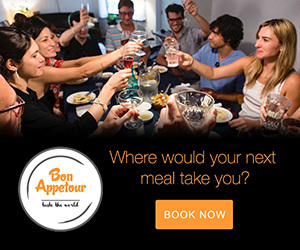 Enjoy pit stops at wineries, breweries, bakeries, quaint restaurants, and organic farms. 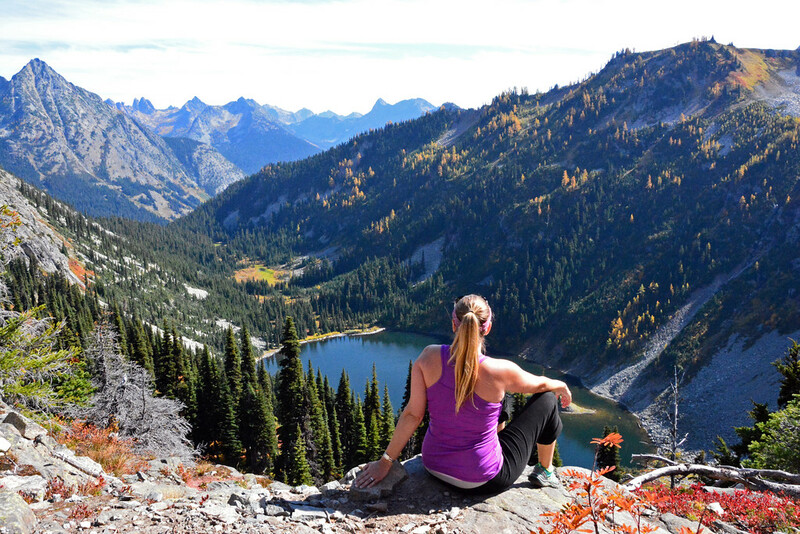 Take a break from driving and do some kayaking or even ziplining along the way, and of course, leave some time to hike the beautiful Heather Maple Pass Loop! Gorgeous! I’m considering WA for my hiking trip for next year (want to do a part of the PCT) and this only made the desire to go there stronger. The fall colors are gorgeous and it seems like you had amazing weather, too! Washington is excellent for hiking! Fall was a wonderful time to go – perfect weather, beautiful colors, lack of crowds, etc. You’d LOVE it! 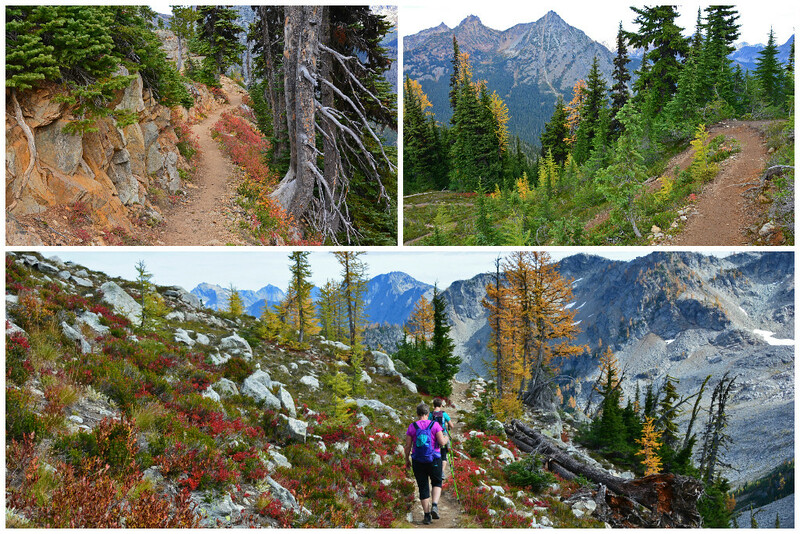 You could also do some hiking on the Olympic Peninsula, too… also gorgeous! This is my favorite hike ever! Funny thing is I took this hike with my mom and I was wearing a very similar outfit as yours in the very first picture on this blog. My mom thought a picture of me had been featured because of the very close outfit, blonde hair, and similar pose from when we went. I thought it was kind of funny and I’m glad she thought it was me because now I’ve found your blog and I love it! That’s hilarious! Glad you enjoyed the hike as much as we did. It was long, but we felt so accomplished to have finished. The scenery was gorgeous and so worth the tired legs the next day. 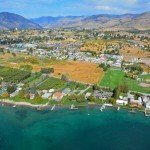 just signed up for the newsletter and am impressed with the quality of the info! Thanks! 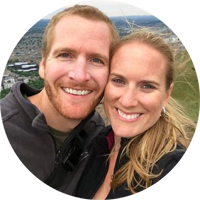 We try to send out information that we think would help like-minded travelers.